Our kids classes are from 3 and up to 10 years old. It is one of the best and efficient way to boost confidence, self-discipline and respect. Muay Thai “The Art Of 8 Limbs” in particular is perfect to develop these skills, and there is no reason to wait until 18 years old to start. We believe every child has the right to walk around the schoolyard with confidence and shouldn’t have to worry about being bullied. 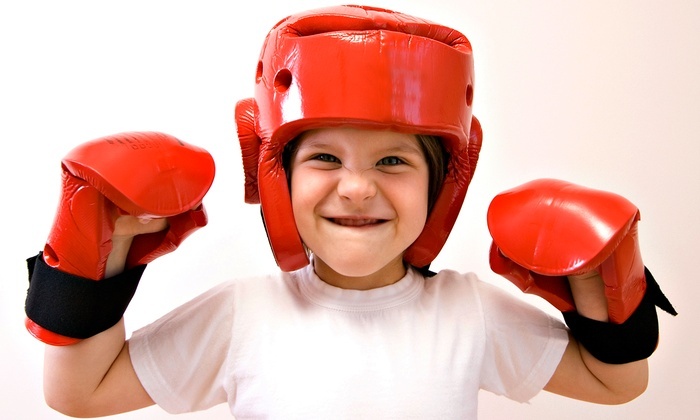 Any Martial Art is a fun way for both boys and girls to achieve fitness and focus. Some parents may think they also promote violence, but that’s a myth, according to experts. The martial arts actually help teach self-discipline and socialization skills. In fact, many parents whose children have attention-deficit/hyperactivity disorder (ADHD) report great success with these programs because self-control and concentration are exactly the skills underdeveloped in ADHD kids. But, say experts, it’s the respect kids learn, whether from bowing or standing still and waiting for the next command, that can be the most important benefit: It often carries over into school, helping to improve behavior and even grades. We also have Capoeira and Brazilian Jiujitsu “No Gi” for the kids to mix it up a bit.